Get the Windham Whippets Mobile App Today! 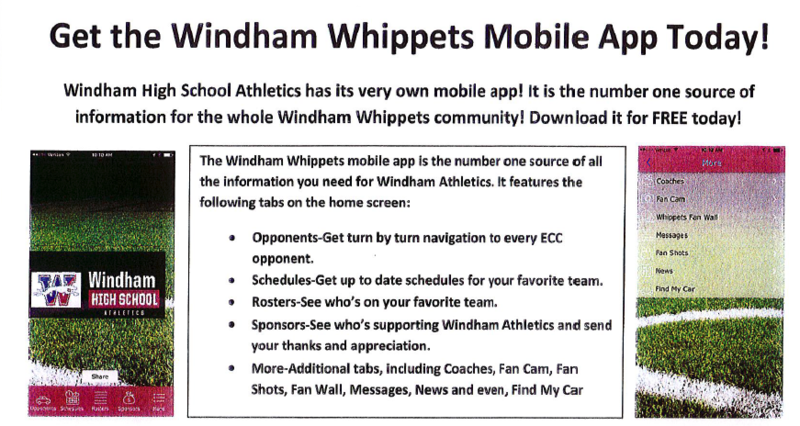 Windham High School Athletics has its very own app! 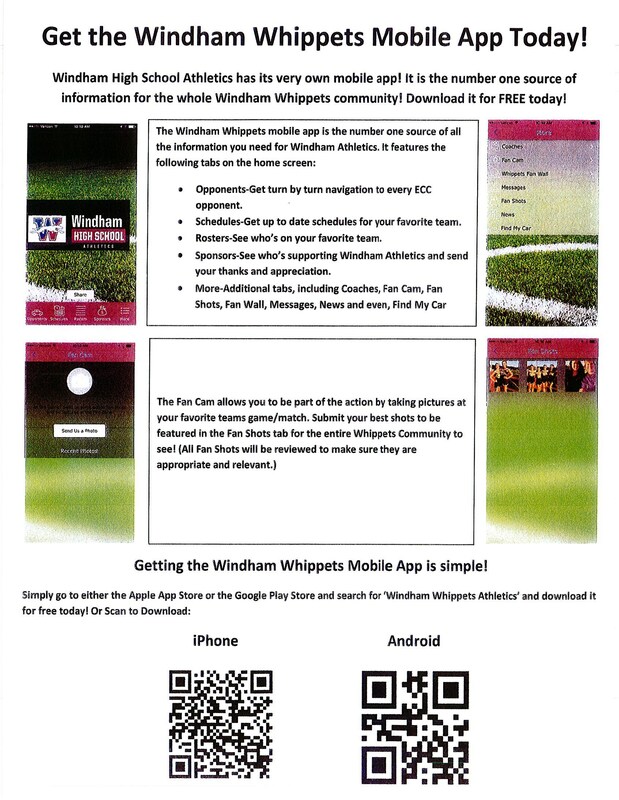 It is the number one source of information for the Windham Whippets community! - Opponents-Get turn by turn navigation to every ECC opponent. - Schedules-Get up to date schedules for your favorite team. -Rosters-See who's on your favorite team. 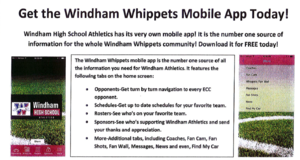 - Sponsors- See who's supporting Windham Athletics and send your thanks and appreciation.